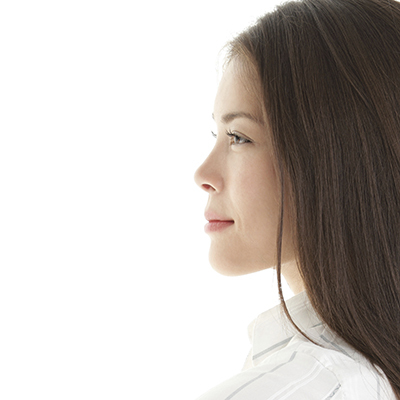 Rhinoplasty is a procedure to that improves the aesthetics and balance of the nose. Today, cosmetic rhinoplasty has evolved into a highly sophisticated and yet predictable procedure that addresses both the aesthetic as well as functional (breathing issues) aspects of the nose. Rhinoplasty is a procedure that Dr Wong is very passionate about, having been trained, influenced and guided by several leading thinkers of rhinoplasty in the world. Rhinoplasty is perhaps one of the most complex procedures in aesthetic plastic surgery, requiring an innate appreciation of aesthetic balance of the various parts of the nose as well as the nose with the rest of the patient’s face. The artistry required to perform a good cosmetic rhinoplasty require many years to cultivate. At the same time, the functional aspect of the nose must be preserved or improved if necessary, to ensure that the patient not only look better after the procedure but be able to breathe well. Dr Wong also has had the benefit of an extensive experience in the management of complex noses including the crooked nose, the fractured nose (nasal trauma) as well as the cleft nose. 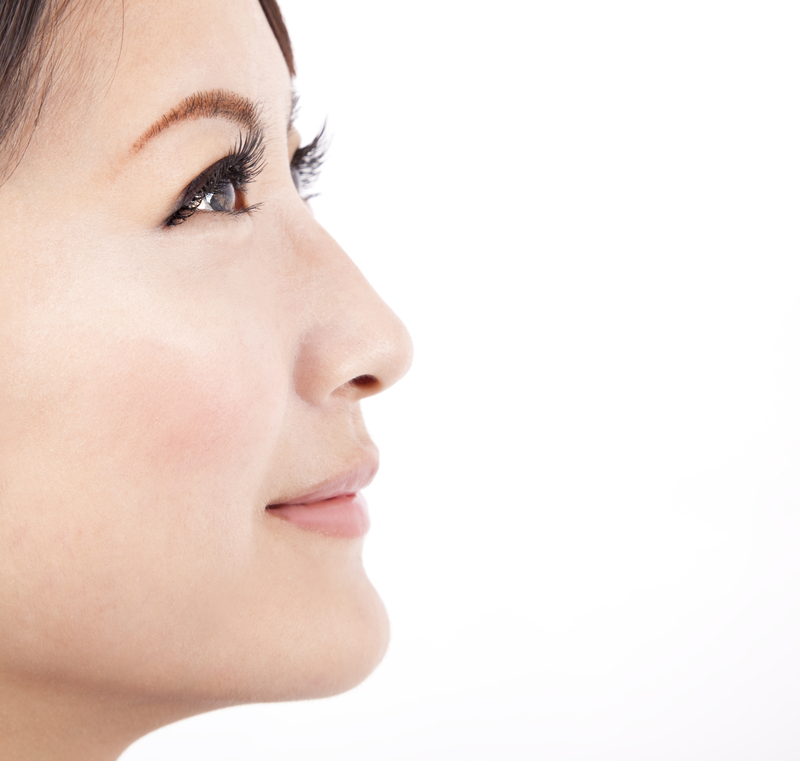 Appreciating these complex cases gives a further facet to Dr Wong's approach to cosmetic rhinoplasty. The rhinoplasty technique used by Dr Wong is known as STRUCTURAL RHINOPLASTY. This technique focuses on providing a strong structural support of the nose. This provides a strong foundation on which to build and cosmetically enhance the nose. With a solid and strong foundation, the nose can be projected, lengthen and the tip projected and refined with predictability and precision. Understanding what patient’s goals and cosmetic preference is of utmost importance in planning the rhinoplasty. A thorough history is taken. Any breathing difficulties should be highlighted to the surgeon. Any previous surgery on the nose including previous rhinoplasties as well as injection of filler into the nose should also be highlighted to the surgeon. The nose is then carefully examined externally and intra-nasally. A series of standard facial and nose photographs are then taken in our studio. To guide the patient in coming to an informed decision of the goals of the rhinoplasty; a specialised computer software is used in the consultation process to simulate or communicate the desired goals of the rhinoplasty. Caucasian rhinoplasty usually does not require any materials outside the nose. Any graft materials needed could be harvested from the septum and is usually sufficient. The Asian nose in contrast needs significant materials to strengthen the nose structurally and augment the dorsum. Several options exist, and depending on the specific requirements and considerations, one or the others may be recommended. Broadly, 2 categories of graft materials may be used; 1). using you own tissue or 2). a foreign material. There are advantages and disadvantages of each material. With rhinoplasty using your own tissues, materials that may be needed include the ear cartilage or when more material is needed, from the rib cartilage. For the ear, the incision for the harvesting can be hidden behind the ear and is generally very well hidden. For the rib, a small (usually 2 – 4 cm) incision is needed and in the female the incision can be hidden under the fold of the breast. The advantages of the use of you own tissues are many. It is you own tissue, so it is completely compatible with your nose. Cartilages are also long lasting and incorporate completely with your nose giving a long lasting and permanent result. It is also extremely resistant to infection with very low complication rates. The disadvantage of using your own tissue is that it is technically much more demanding and additional incisions are needed to harvested cartilage from the ear or the rib. The use of foreign material (such as silicone, medpore or GORETEX) has the advantage of being readily available and technically easier to perform. The disadvantage is that because it a foreign material it has greater risk of short term and long term complications, including higher risk of infection, extrusion and distortion (deviation). The composite rhinoplasty approach can be used to mitigate the disadvantages of each approach. With this approach, your own tissue is used where it is known that foreign material do not perform well such as the tip of the nose. Foreign material is used where it does not cause problems such as for dorsal augmentation. This composite rhinoplasty using both your own tissue as well as limited amount of foreign material is gaining popularity for its versatility and reliability. The Rhinoplasty can be performed via 2 approaches, endonasal (closed) approach or Open Approach. Dr Wong prefers the open approach as this approach allows the direct visualization of the nasal anatomy and allow precise anatomical rebuilding of the nose. Giving the surgeon the ability to exactly set the tip, its projection, its angle as well as the dorsal height. The open approach is currently considered the preferred approach. With this approach, an incision is made at the bottom of the nose (called the collumella), the incision heals extremely well and is usually not noticeable after 6 months. The nose will be protected by an external nasal splint for a week, at which point it is removed and the stitches taken out. The nose will be slightly swollen. The time required for the swelling to subside varies from different parts of the nose as well as between individuals. Generally, the top of the nose takes about a month, the bridge a month and the tip (with its thicker skin) up to 3 months. Smoking generally prolongs swelling and like most procedures in aesthetic surgery, the patient is strongly encouraged to stop smoking at least 2 weeks before the operation and for 1 month after the operation. The patient can generally go back to work 1 week after the operation and can go back fully to social engagements after 3 weeks, looking natural at this point. The appearance of the nose will continue to improve, with the refinements been seen progressively over the next 3 months as the swelling subsides, revealing the refinements of your results. It is important that you be followed-up regularly after your rhinoplasty, to monitor your recovery as well as to preemptively manage any issues that may arise. After rhinoplasty, you will be seen at 1 week, 1 month, 3 month, 6 months, 1 year and yearly thereafter. Rhinoplasty is a highly complex procedure. As well, the recovery can sometimes be unpredictable, with uneven swelling and scarring affecting the results. Even in the best of hands, revision is an unavoidable reality. With experience however, this can be kept at a very low rate. The optimal time for revision is when the scarring and swelling has completely resolved and soften. For rhinoplasty, usually one would have to wait for at least 6 months before contemplating a revision. This allows for the maximal predictability as well as precision when the surgeon performs the revision rhinoplasty.